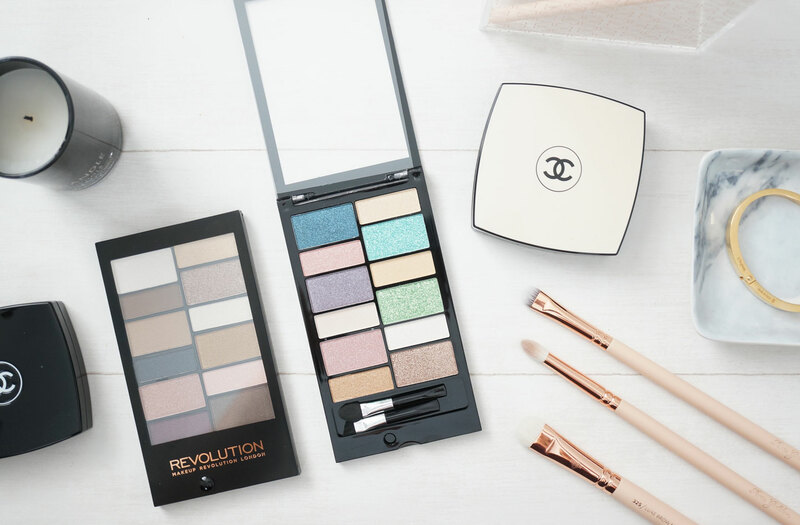 Makeup Revolution are back on the blog today with two brand new look palettes! 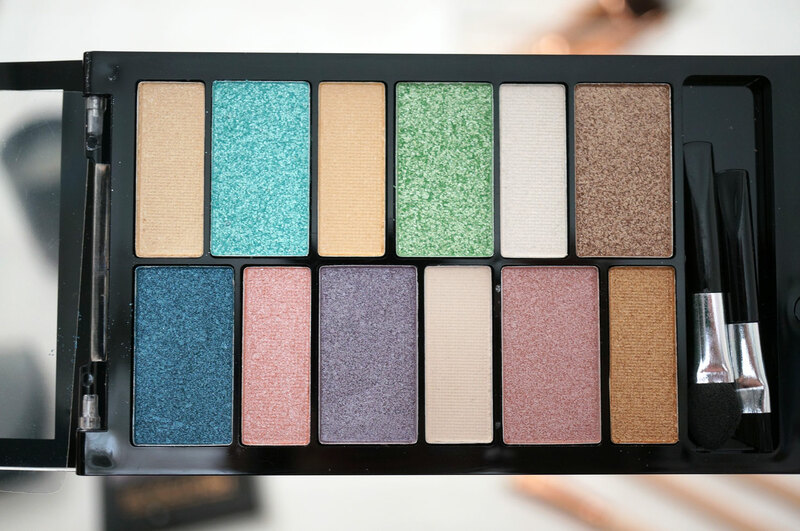 These are called the Awesome Palettes! Which I just love, I use the word awesome all the time! 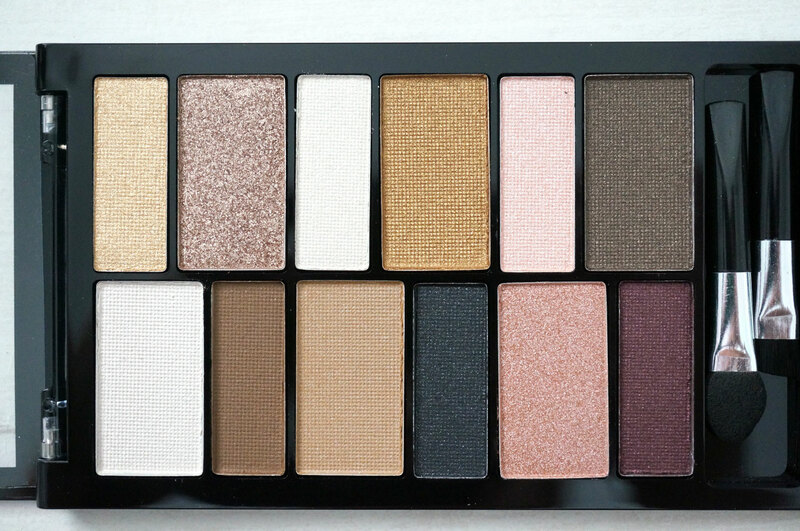 😀 Each palette contains 12 shimmer and matte shades that are perfect for summer, cased in a brand new slimline palette. Disappear To The Beyond (left) and Beach & Surf (right) – both available at Superdrug. Both palettes really remind me of the Bobbi Brown Beach & Surf palettes which were released this time last year. Unfortunately I didn’t purchase these so I can’t compare them, but just google it and you’ll see the shades look very similar. I’m wondering if this is intentional as we all know MUR like to come up with affordable dupes for popular products, but these palettes have twelve shades in whereas the Bobbi Brown ones have eight, so they’re not exact dupes by any means. The Beach & Surf palette is SO pretty. It comes with six larger sized pans and six smaller pans of shimmer and matte shades, as well as two mini applicators (one sponge and one brush). 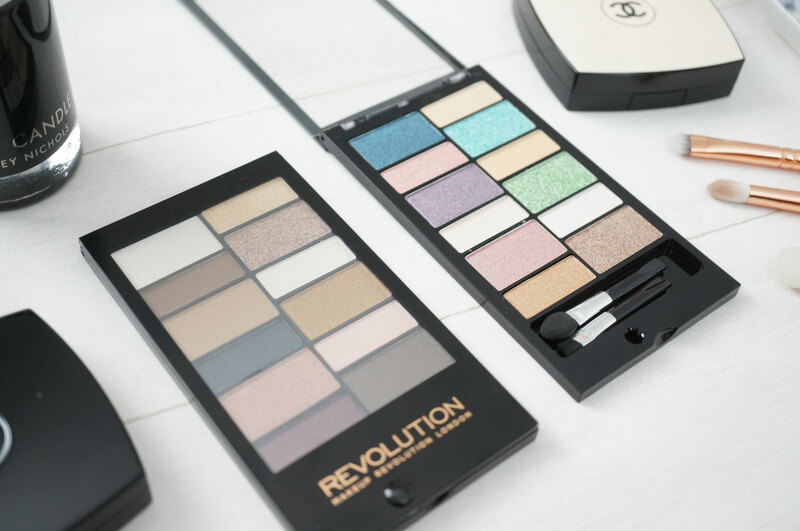 The new Awesome palettes come with a new-look slimline case with a flip top clear plastic lid rather than a mirror. I love the fact that they are super slimline and compact so they should easily fit in most makeup bags. 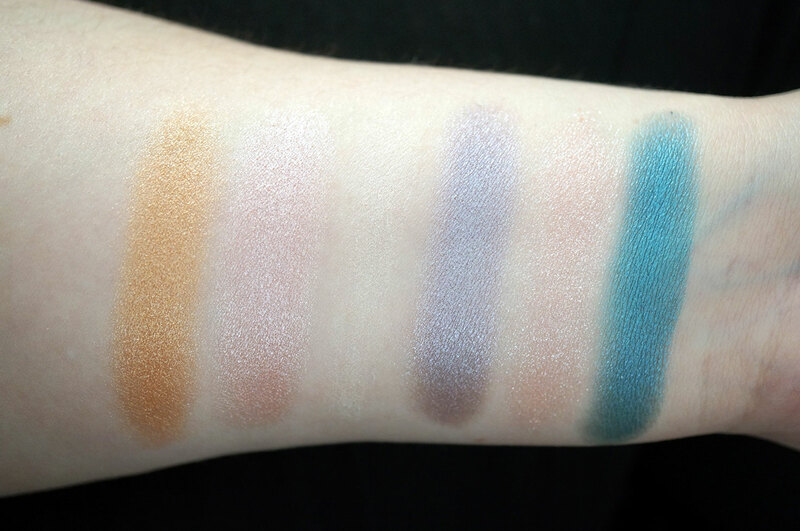 As expected, all of the shimmer shades swatched really well, and the mattes were not so impressive. 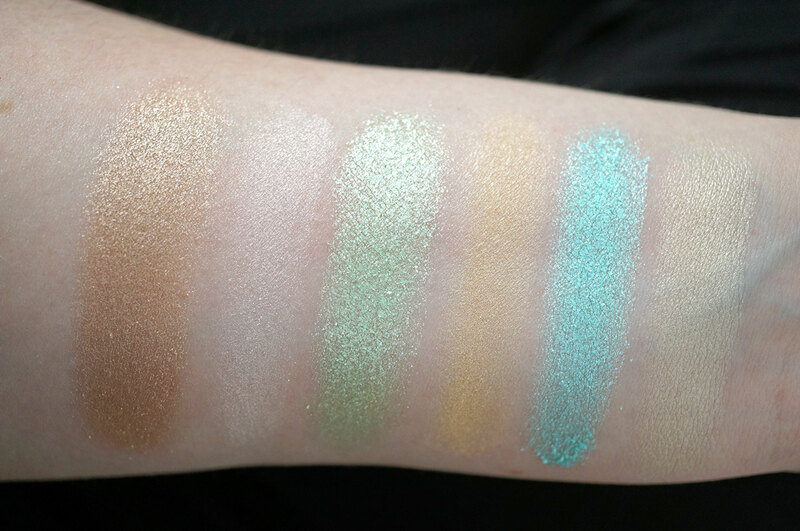 The shimmers all had fantastic pigmentation and almost a creaminess to their textures, some of them did give a lot of kick up though and seemed to fall apart a bit when swatched, like the green and light blue shades above – its almost like some of the pans haven’t been pressed very hard but I can’t be sure. So this is just a warning to be careful with application! 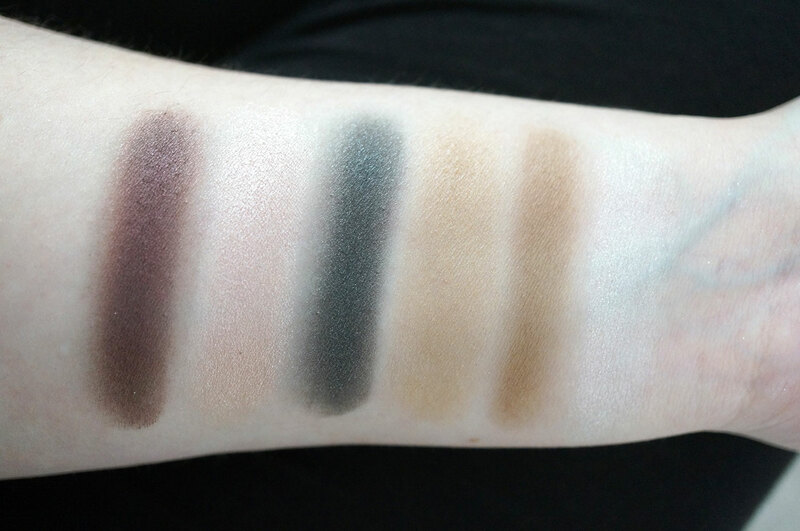 The Disappear To The Beyond palette is equally as beautiful but the neutral shades in this palette are definitely more wearable. Again it contains a mostly shimmers with the exception of a couple of matte shades. I love the gold and burgundy shades in this palette, and there’s enough lighter shade neutrals to take your look from day to night. 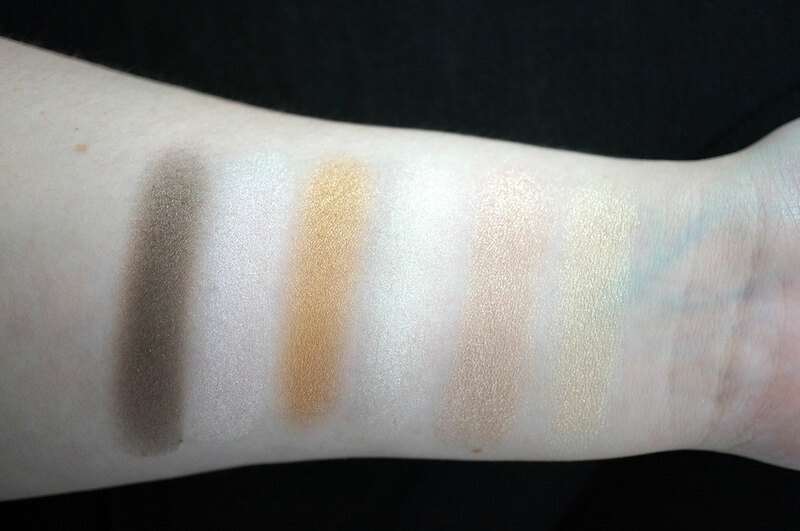 The two lighter shimmery shades in the larger pans had the same issue as the previous palette, but apart from this I’m actually quite impressed with both palettes, they’re really not too bad considering they only cost £4, making each shadow just 33p.